Summary: Fans of the Animaniacs are in for a huge surprise. For the 80’s babies out there, Animaniacs fans are in for a big treat. Amblin Television and Warner Bros. Animation are in talks of launching a brand new version of the hit 90s cartoon. The potential reboot has experienced must popularity after hitting Netflix of last year. Steven Spielberg, who developed the original as a follow-up to his success with his previous cartoon “Tiny Toon Adventures” is expected to play a major role in creating the updated version. While there isn’t an official home for the follow-up, and insiders are saying that it’s still in the early stages of development, it’s quite exciting to hear that a reboot is already in discussion. Now, 90s nostalgia has been all the rage these days, with reboots like “Fuller House”, coming to Netflix. 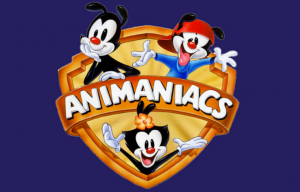 Animaniacs ran for 99 episodes from 1993 to 1995. It aired on Fox Kids before moving over to Kids’ WB from 1995 to 1998. It also spawned the popular “Pinky and the Brain”, which also aired on WB. Animaniacs also won eight Daytime Emmy Awards during its run, as well as a Peabody Award – which is nothing short of incredible, especially when it comes to a cartoon made for children. The series appealed to both adults and children, and reminded the public of the glory days of Hollywood animation with sparkling characters, witty dialogue, and an amazing production team. The magic touch of executive producer Steven Spielberg is the finishing touch to this masterpiece. Even though the public still needs to wait quite a while for any episodes to air, it’s good to know that the once famed animation is coming back with a wave of nostalgia following. Bio: Omar Amanat is a famed philanthropist and entrepreneur, famous for his investments in the technology and finance industry.